In Aotearoa this week it is #WikiReoMāori. I have been working on my pepeha for quite a while now. Once I recorded it, I wondered if it was totally accurate. I am a fluent speaker of Samoan and often I can hear a sentence in Māori and know that it makes sense because of the familiarity of sounds and word order. However with my pepeha, I was a little hesitant. I turned to my twitter buddies and put the word out there. Straight away help was on hand and @temihinga responded immediately and helped with a final proof read. Yes I had several corrections to make. She also explained why and this helped me immensely. I had recently met Te Mihinga at Nethui face to face and had heard her speak. @ariaporo22 Alex also responded. She had presented with me on TeachMeetNZ. In my Samoan culture we do not have a Pepeha but we do have a faalupega. I know when I was teaching in a Samoan bilingual unit, I had the children learn their Faalupega. In Samoa when reciting our Faalupega, we must know where we come from and who the chief and the talking chiefs are in our family. If we are really clever we will know all the titles of our chiefs and we will also know all the different villages we associate with because of family connections. My training in Faalupega was it was like a ripple in the pond. I am like the centre of the ripple and then I move out. As I learn more about myself, I add that. It is like reciting genealogy. Place markers are also part of Faalupega. At the same time the chiefs are place markers too because they are associated with families and places. With Māori it is knowing where you come from. At our school, we teach our children our school pepeha and have been relearning it each year during Matariki. This year I wanted to add a little extra and see if I can say my pepeha and include my Samoan markers. My next step is to memorise our school whakataukī. The neat thing about recording yourself is that you can listen and rewind your learning. By hearing our own voice often enough the flow of the words stick in our memories and soon they are part of our active oral schema. By learning my pepeha, it reminds me of the challenges of learning another language. In the registered teacher’s criteria learning my pepeha covers cultural responsiveness and language maintenance. 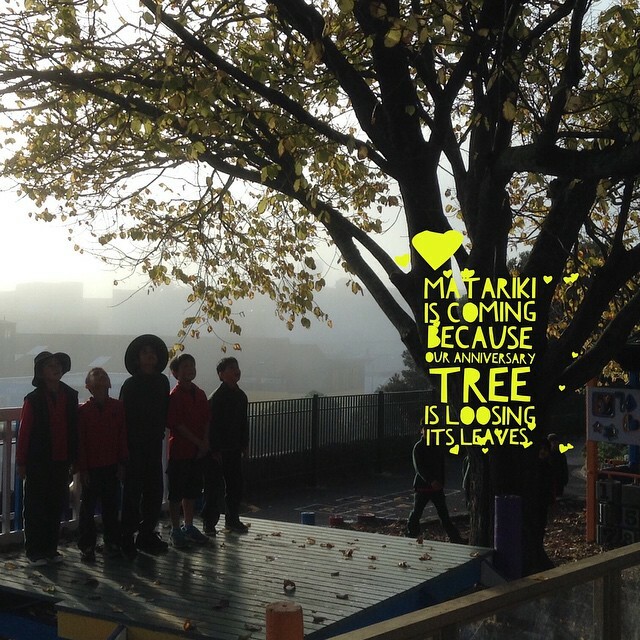 But it also covers acknowledging the place of Te Reo in our curriculum. Samoan language and who we are are indescribably linked. Just like Te Reo and the people of this land. There is such a connection to the land it almost comes across as one. The people are the land and the land is the people. In order to learn our school pepeha, I needed to learn our areas history. I visited the maunga mentioned and I visited the awa. I researched our local history. Over the years I have worked with the children on both our school’s history, its surrounding area and our pepeha. As a school we visit our local marae of Ōrākei and we reconnect with Ngāti Whātua every two years. My challenge to all educators is learn your school’s pepeha and teach your children how to say it too. Use Matariki as a time to revisit your pepeha and to learn a little more about the area that your school is in. Use Māori language week as a celebration of how much reo you have learnt over the past year and a commitment to how much more you will learn in the coming year.